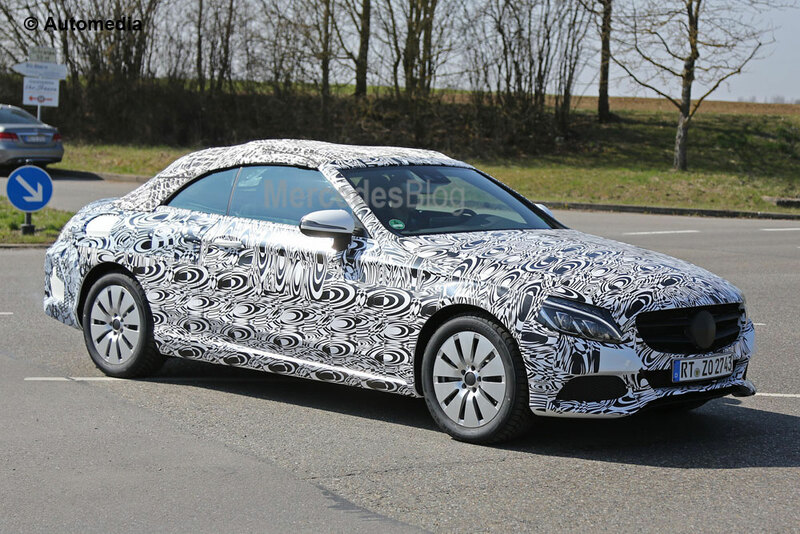 2017 Mercedes C-Class Cabrio has been filmed again during its testing program. The new model will hit Mercedes showrooms next year, following the successful launch of its coupe sibling already on sale. If reports prove accurate, the C-Class Cabrio is set to become the cheapest convertible in Mercedes’ current portofolio, undercutting the base SLK roadster in the process. Following the move upmarket for the future E-Class Coupe and Cabrio models, Mercedes’ new C-Class Cabrio will inherit the platform of the current C-Class sedan. Known under the internal code name C 205, the new Cabrio will feature a canvas roof. Mercedes has opted for this solution, keeping the weight in check due to the lower complexity of the system. The Mercedes-Benz C-Class Cabrio will even surpass the S-class Coupe in therms of sleekness, says design chief Gorden Wagener, who insists the C will be “even better to drive than it looks” as well. A C63 AMG version will be available right from the start, according to AMG boss Tobias Moers, as the range-topping AMG C-Class Cabrio and Coupe siblings are slated to become the fiercest rivals of BMW’s recently revamped M4. Power for the range-topping Mercedes-AMG version will come from the brand new 500-plus HP 4.0-liter V8 made by AMG, which in theory at least, should give it a small advantage over the BMW M4.